Welcome to Mobisense Systems website ! 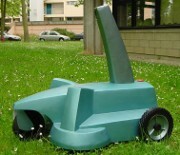 At Mobisense Systems, we design and develop guidance systems for mobile robots. Service robotics is at the heart of our activity. We also propose engineering services related to robotics: electronics, embedded software, signal processing and control.